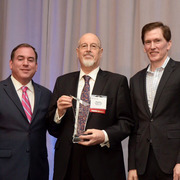 A single layer of defense isn't sufficient in today's constantly evolving threat landscape. All ESET endpoint products have the ability to detect malware pre-execution, during execution and post-execution. An additional layer can be implemented in the form of cloud sandbox analysis with ESET Dynamic Threat Defense. By focusing not just on a specific part of the malware lifecycle, this allows ESET to provide the highest level of protection possible. ESET File Security solutions are managed from a single pane of glass that can be installed on Windows or Linux. In addition to installation, ESET has a virtual appliance that you can simply import for quick and easy setup. All ESET products currently use machine learning in conjunction with all of our other layers of defense and have done so since 1997. Specifically, machine learning is used in the form of consolidated output and neural networks. Many businesses want extra protection from ransomware attacks. In addition, they need to ensure their network drives cannot be encrypted. Network Attack Protection has the ability to prevent ransomware from ever infecting a system by stopping exploits at the network level. Our multilayered defense features an in-product sandbox that has the ability to detect malware that attempts to evade detection by using obfuscation. Leverage ESET’s cloud malware protection system to automatically protect against new threats without the need to wait for the next detection update. Typical turnaround time of 20 minutes. All products contain post-execution protection in the form of Ransomware Shield to ensure that businesses are protected from malicious file encryption. 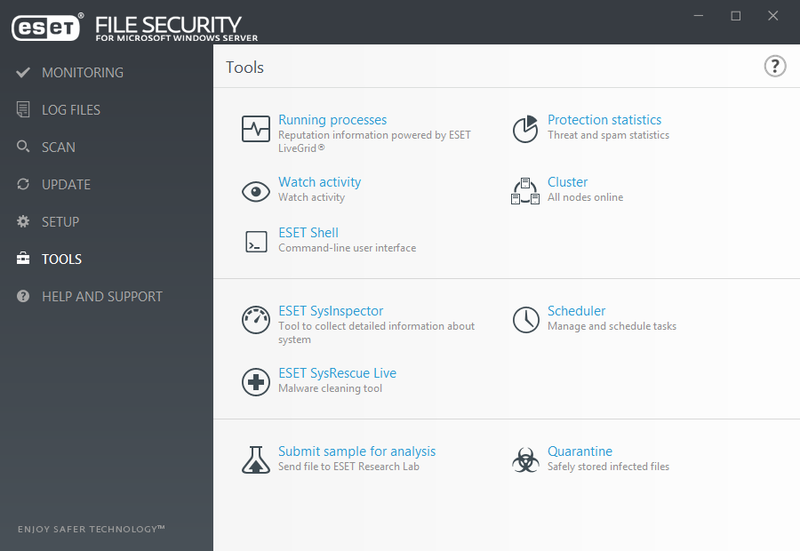 If ESET File Security is unsure of a potential threat, it has the ability to upload the sample to ESET’s cloud sandbox, Dynamic Threat Defense, to make the highest quality decision on whether something is malicious. Protected by ESET since 2011. Protected by ESET since 2008. Protected by ESET since 2016. ESET ISP security partner since 2008. 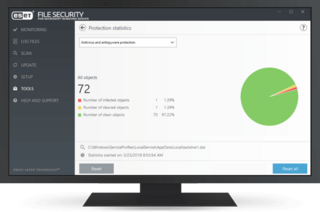 ESET's Host-based Intrusion Prevention System (HIPS) monitors system activity and uses a predefined set of rules to recognize and stop suspicious system behavior. An additional layer protecting users from ransomware, which monitors and evaluates all executed applications based on their behavior and reputation. It is designed to detect and block processes that resemble the behavior of ransomware. ESET Network Attack Protection improves detection of known vulnerabilities on the network level. It constitutes another important layer of protection against spreading malware, network-conducted attacks, and exploitation of vulnerabilities for which a patch has not yet been released or deployed. 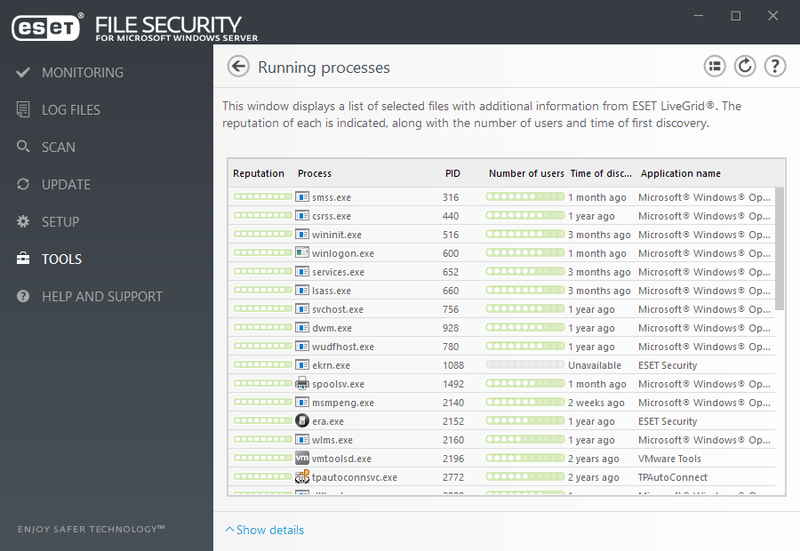 After registration is done on a single server, ESET has the ability to scan OneDrive to provide visibility and monitor the trusted source of company storage. 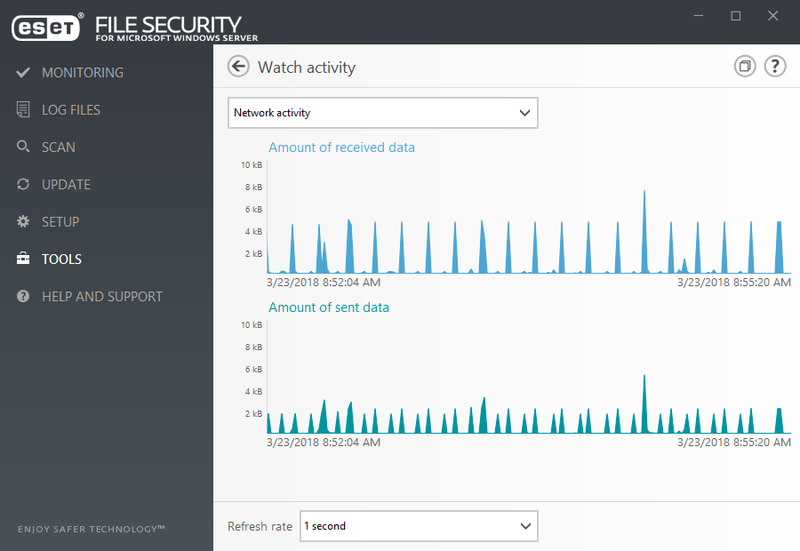 ESET Dynamic Threat Defense provides another layer of security for ESET File Security solutions by utilizing a cloud-based sandboxing technology to detect new, never before seen types of threats. 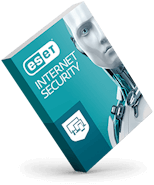 ESET products leverage the Antimalware Scan Interface (AMSI) to provide enhanced malware protection for users, data, applications and workload. 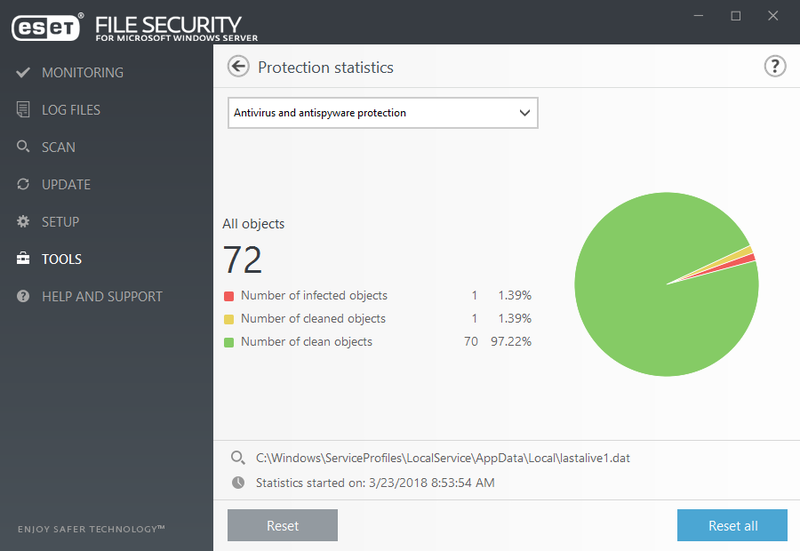 In addition, it utilizes the protected service interface, a new security module built into Windows, that only allows trusted, signed code to load and better protects against code injection attacks. ESET products continue to excel in the performance arena, as shown by third-party tests proving how lightweight ESET endpoints are on systems. ESET File Security solutions are built on a 64-bit core and include DLL modules to ensure more RAM saving and faster computer startup times, and to allow native support of future Windows updates. 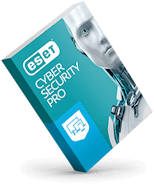 Purchase this product as a bundle component of ESET Endpoint Protection Advanced at the same price as the individual product. For additional discounts or higher quantities, use the partner locator and find a partner today. Download a free trial license with absolutely no commitment. For a complete list of partners in your area, please contact ESET Sales. We'll design a personalized offer to fit your requirements. 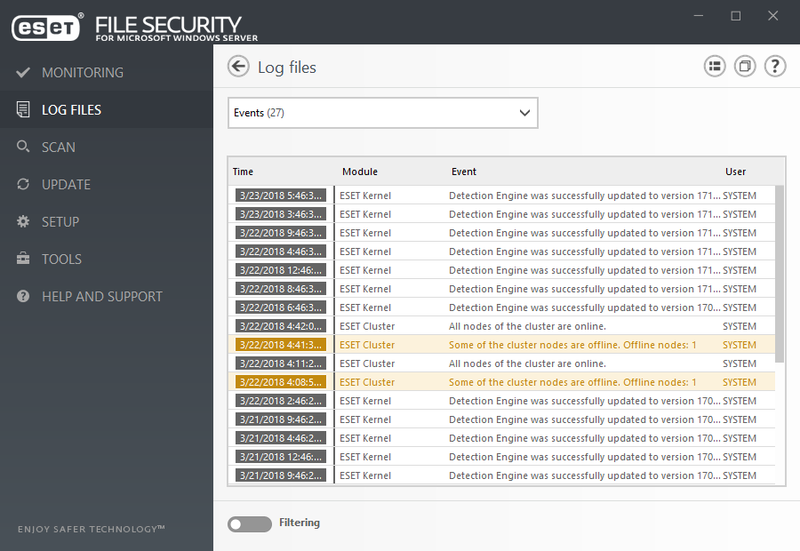 Compatible with ESET Security Management Center and ESET Remote Administrator 6. See more information about remote management compatibility. EDR solution that empowers security teams to hunt for malicious activity by applying behavioral and machine learning algorithms. Cloud-based sandboxing technology detects never before seen or zero-day threats. 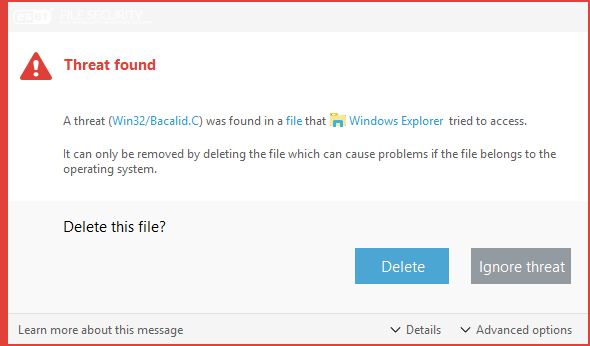 "Runs better than ANY other AV I have EVER used, blocks the issues before the user can attempt to use the questionable files." "I enjoy the continuous protection, automatic updates, and comparably small size of this program in comparison to other options." "The things I enjoy most about their products is how light they run on my clients systems and how easily they are to manage and configure." Based on customer reviews, through G2 Crowd surveys, that asked ESET business customers to rate their experiences using ESET Endpoint Security. Read honest reviews on Capterra from more than 300 ESET customers about their experiences using ESET and why they recommend our products. 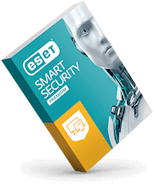 "ESET is the best small footprint antivirus software out there." "Spend less time removing infections from endpoints by not getting them to begin with." "Strong antivirus defense along with ease of deployment to end users." Brought to you by respected security researchers from ESET's 13 global R&D centers. Top tips to prevent tax identity fraud include filing tax returns early and monitoring your bank accounts for suspicious transactions. Log in or retrieve your password to manage your existing licenses. All ESET products include free technical support in your language.